Dermal fillers are used to restore facial volume and minimize the appearance of fine lines and wrinkles. The injections are highly effective in treating mild to moderate lines and wrinkles around the mouth, eyes and lips. They are also useful for adding volume to areas, such as the lips, that have diminished with age. Advanced Laser Skin Center, located in Columbus, Ohio, offers a variety of dermal fillers including Restyane, Juvederm, Voluma, and Radiesse. You may be a candidate for Restylane injections in Columbus if you are bothered by the appearance of vertical brow lines, smile lines, frown lines or lip lines. Restylane could also be an option if you desire bigger or fuller lips. Though there are few contraindications for dermal fillers, some people, such as pregnant or breastfeeding mothers, may not be candidates. Contact our office for more information about Restylane and whether it could be right for you. What should I expect during a Columbus Restylane injection? You will notice results immediately after treatment, though it may take a few days to realize Restylane’s full effects. Though long-term outcomes vary from person to person, most people who undergo Restylane to treat the lips can expect results that last 3 to 6 months, and treatments in other areas of the face that typically last 6 to 9 months or more. 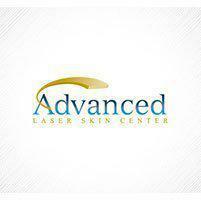 In addition to Restylane, Advanced Laser Skin Center offers Juvederm, Voluma, and Radiesse.